My dream has always been to be a fashion designer and have my own brand encapsulating my personal views on fashion. 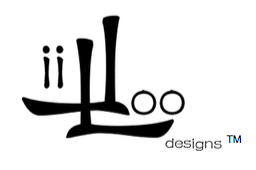 The LIILOODESIGNS™ brand reflects my personality by taking inspiration from my name; Li is my given name and Loh is my family name. I remember the very first time I saw a fashion show on TV. I couldn’t keep my eyes of the screen and kept asking myself how I could make beautiful dresses as well. I immediately started practicing. Cutting up my own clothes and using the fabric to customize my Barbie dolls. When I look back on the first Barbie outfit I designed, it was a disaster. Bad workmanship and overall a terrible idea. But still creative enough to get started with my own designs. After many years of studying and gaining knowledge, I am now able to make something more creative and fancy than my childhood Barbie dresses. If you truly want to live out your dream and decide on your own future, the first step is the most important. LIILOODESIGNS™ (UEN 53343395M ) is a Singapore-based fashion brand with regional supply chain and production. We are small team with big dreams. We aim to earn our livelihood by supplying unique designs and happiness on a hanger to our customers.